This bundt is rich and moist with the fresh flavors of oranges and coconut. Drizzled with a citrus infused glaze and toasted coconut, it is a slice of tropical heaven on a cold January afternoon. 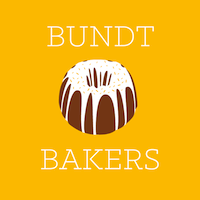 Welcome to the first #BundtBakers of 2015. I am so pleased to be a part of this month’s event, especially since the theme was coconut – which happens to be one of my absolute favorites! An orange coconut cake immediately came to mind. Within minutes, I had mapped out a recipe, though it took two tries to perfect it. Well, it was well worth it. I know you will agree when you try it! Enjoy! In a large bowl combine all of the dry ingredients. In a smaller bowl, mix together all of the wet ingredients. Slowly mix the wet ingredients with the dry ingredients while stirring. Mix together with a hand mixer. Bake for 30 – 35 minutes or until the toothpick test comes out clean. When cooled gently loosen the edges and remove from pan. Mix together the powdered sugar, orange juice and vanilla. Set aside. Heat a small heavy frying pan. Add the shredded coconut to the pan and let the coconut get a golden color. 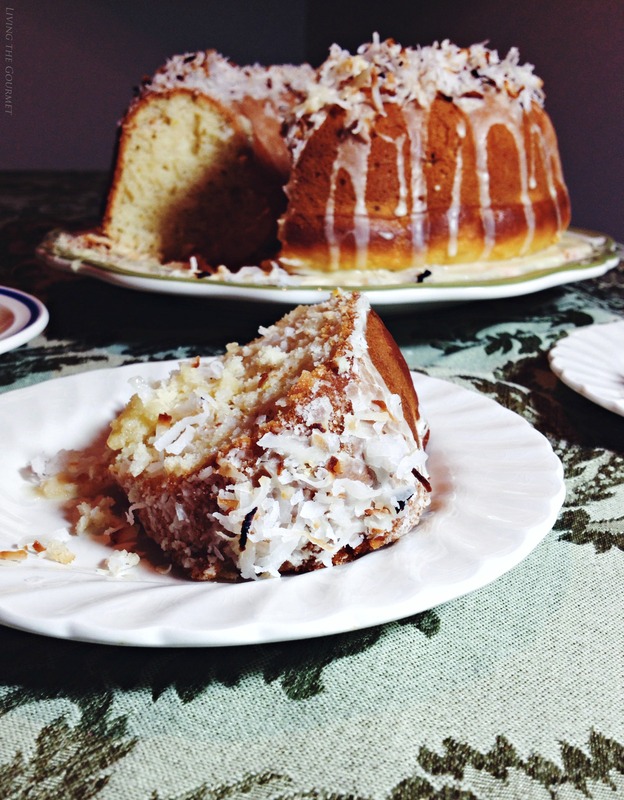 Drizzle the glaze over the bundt then sprinkle with toasted coconut flakes. Oh yes! Definitely a slice of tropical heaven. Your cake is absolutely gorgeous. Orange and Coconut sound like a great combination, too. Coconut is my absolute favourite. This looks delicious. 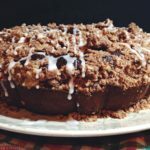 I love any dessert with coconut... this cake looks lovely and delicious. This certainly looks like a delicious mini-vacation to take and enjoy... beautiful! This looks luscious. Orange and coconut together must be divine! I used to make bunt cakes quite a bit hen I was young. The bundt cake looks amazing! I love the flavours. 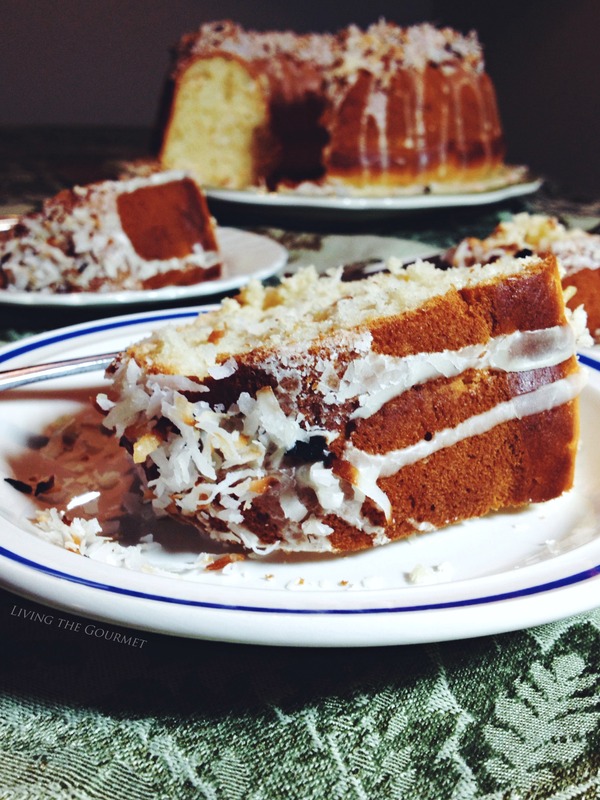 i love a bundt cake and i love coconut. throwing orange into the mix just makes me even happier--this is quite the treat! What a gorgeous cake! I wish there were more dessert recipes using oranges, because I think they're wonderful. Well done. Your cake looks lovely. Citrus and lime is such a great combination. This cake sounds soooo good! I love the citrusy glaze. Tropical flavors like this are the perfect thing to cheer you up in winter weather too- yum! Another winner, another pinner, Catherine! The coconut sprinkled over the glaze is making me drool! This is such a lovely tropical cake for a wintery day! It looks delicious. They looks so delicious. The toasted coconut looks lovely on the cake. I love this flavor combo and am now wondering why it never occurred to me before! Great cake! Great combination of flavours!!! It looks delicious!!! 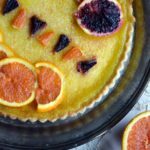 I love orange in my cakes... great idea to join with coconut!!! So pretty, and I love the coconut and orange combination! Wonderful combination, I must try it. Your Bundt looks spectacular! This cake looks and sounds absolutely divine! A must try since we are coconut lovers here! Pinned! Sounds amazing! Can't wait to try. Thanks for linking up to Snickerdoodle Sunday. This sounds like the perfect counterpoint to our dreary cold rainy January weather!!! 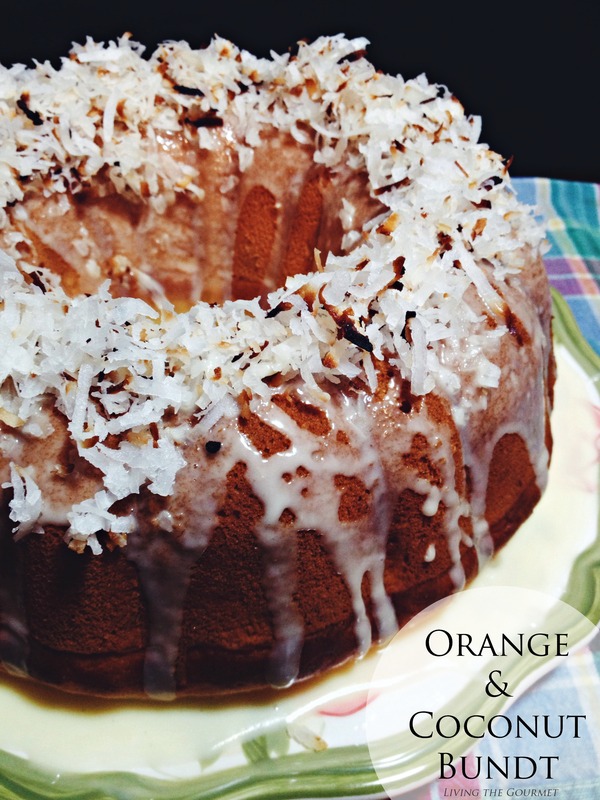 I've never tried orange with coconut before, your bundt looks so delicious I could a couple of slices right now! 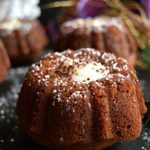 delicious and beautiful bundt cake love to do a taste test, thanks for sharing with Hearth and soul blog hop. pinning. 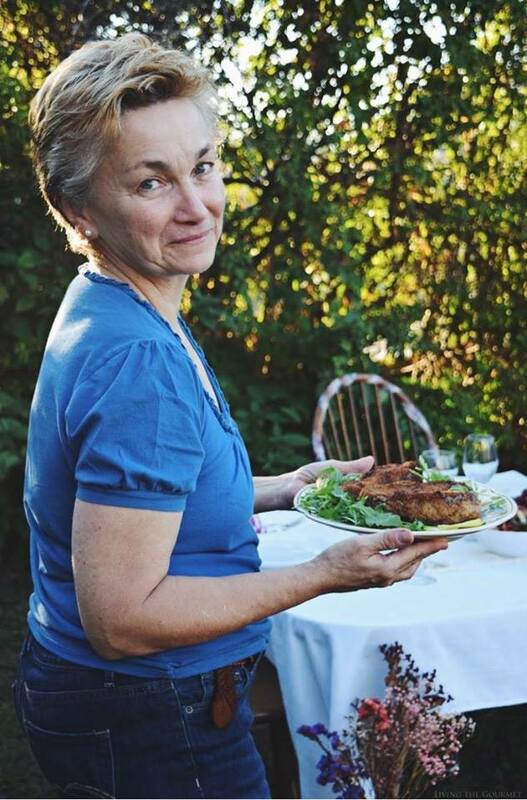 With that apple sauce and sour cream, this sure sounds like a wonderfully decadent and moist bundt and, dear Catherine, your combo of orange and coconut has the salivary glands in the back of my mouth firing! Wow - I wish I had a slice of this right now! I can't get over how gorgeous this cake is. it looks so yummy! 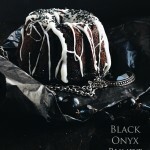 Love your Bundt cakes, and this one especially appeals to me! I love the coconut-orange combo - very springy!